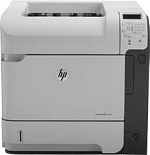 Portland Printer Repair provides on-site repair services in metropolitan Portland, Oregon for Hewlett-Packard and Lexmark laser printers. Sorry, we do not service HP PhotoSmart, OfficeJet, DeskJet or other consumer inkjet printers. Call us at (503) 453-5672 or fill in this form. Local area only.